Physical therapy is an effective source of treatment for low back pain. 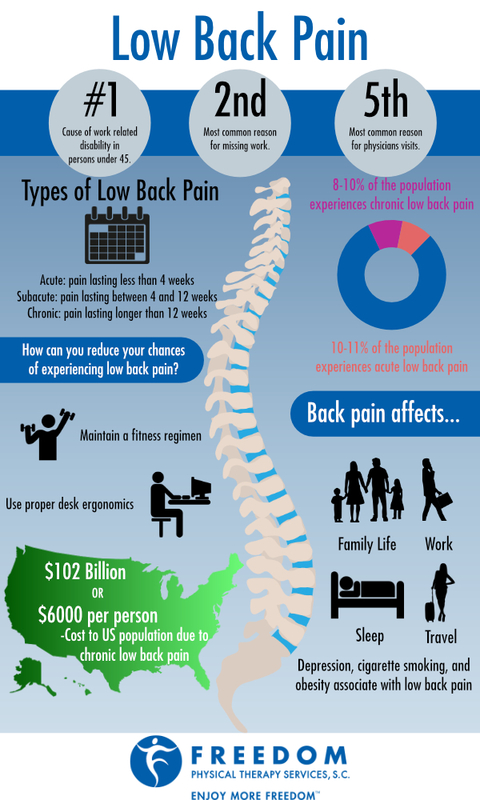 For more information on how to treat your low back pain, please contact any of our four locations. Physical therapy can often be a cost-effective treatment approach when combined with recommended treatment from your doctor.